Have you ever set your glass down at a soireé, only to discover three others sitting next to it when you return... and they all look alike? 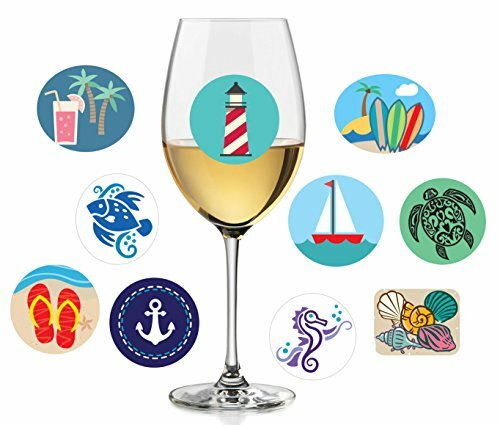 Our fun and clever Beach-themed Glass Stickers are designed to help you easily identify your glass, thus avoiding unwanted germs (aka "cooties") from drinking from someone else's glass. Not only do these unique stickers prevent this awkward - and potentially unhealthy - situation, but they're also fantastic conversation starters. 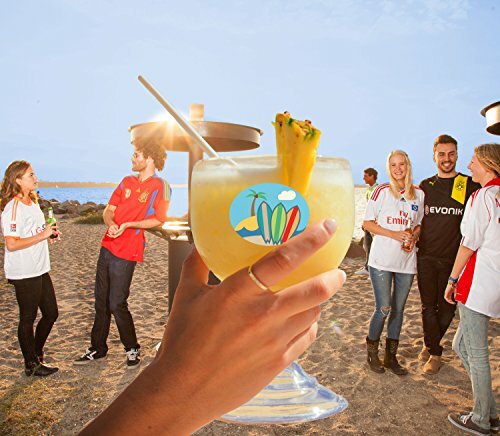 Why not increase the fun-factor with a colorful and beachy sticker? The perfect hostess gift, holiday gift or party favor! Delight your friends and loved ones with this set of 10 nicely-designed stickers that are sure to make the next party a bit more lively. Cheers! SET OF 10 | Colorful high-quality, reusable stickers. 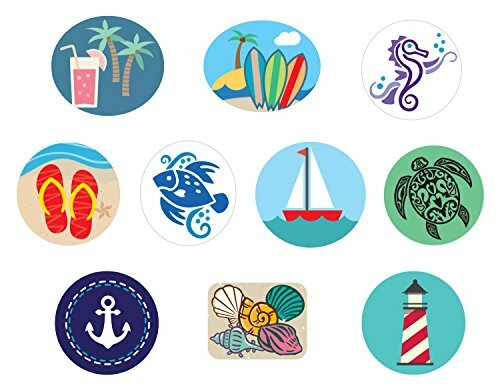 PERFECT BEACH PARTY DECORATIONS - Each sticker features a fun beach graphic. SUMMER PARTY FAVORS - Super easy to apply and remove to most smooth surfaces - stickers leave no residue on your fine glasses. GREAT HOSTESS GIFTS - Each sticker is approximately 2.25" wide. SATISFACTION GUARANTEED - If you are not happy with your purchase for any reason, we will issue a full refund.